Adoptive Parenting..or Just Plain 'Good Parenting'? Since our own adopted children are Chinese and came to us a number of years ago when inter- country adoptions were very rare, my husband and I became "pioneers". It seemed perfectly logical to us that we add to our family by adopting children already born who would otherwise grow up in a crowded poor orphanage. No one could tell us what having a "transracial family" really meant or what type of challenge this would be. Those parents who are light- skinned who take an African American, Asian, or Hispanic child into the supermarket these days may get tired of the stares or gushing remarks they get. Our daughters came as pre-schoolers, and as they grew up we met a number of "incidents" the best we could, often having to make judgments on what we said or did on the spur of the moment. Of course a sense of humor about transracial living situations is absolutely necessary! We have a number of what we and our daughters think were very amusing happenings, as well as some where they had to stand up for themselves in the face of discrimination against them because of their race. Along the way, we did some deep thinking about what our goals should be for our girls, but actually these could well be goals for all the children being raised in a caring family. As they grew, we thought of the following things. Our daughters came with the "orphanage syndrome", meaning they had to be aggressive to get what they wanted (attention to their needs, physical touching, and food). No "shrinking violets" can long survive in an orphanage, but looking out for oneself from babyhood can be used to foster solid self-esteem that will not accept discrimination or being ignored. It does have to be tempered with concern for the rights of others, and being kind to others instead of literally trampling on them! In the orphanage our tiny 18-month-old would push and kick other children aside in order to hold the hand of the worker! The orphanage baby and child may come with the knowledge of how to be absolutely adorable or to cry louder than the rest to get what is their right to have: acceptance as a person with inalienable rights to love, physical care, and nurturing. One thing that we thought was very important was to raise all our children so that they could follow whatever interests, dreams, or talents they had. Parental support is crucial to this. Of course, I couldn't see ahead about how much work this would be for parents! We did pursue lots of interests our youngsters had in areas we never would have done otherwise. This included learning to play a variety of musical instruments (sort of! ), museum visits to see an Egyptian mummy, lots of trips to local historic sites, waiting patiently (sometimes) at the library, through dance classes, Little League and field hockey games, becoming group leaders when no other parent would, transporting our children and myriads of others to school events, scouting activities, field trips, etc. Some interests of our kids as youngsters lasted two days, others they are still pursuing in their 30's. Every child can become competent at something. It's crucial that parents be willing to expose them to lots of different hobbies and interests. All this adds to their feeling good about themselves, finds them friends with the same interests, and shows them that their parents love them and sup- port them in following their dreams. Our American culture is ambivalent toward the whole idea of adoption. One attitude is feeling the need to love and help a child without parents, but another is an idea that being born into a family is best. Being adopted may be perceived by some as second rate. (This may come from English law, which very strictly separates the legitimate heirs of a person from those born to couples who are not legally married.) Also, the majority of other cultures in the world emphasize taking responsibility for those needing help only when they are related by blood, but there is little/no responsibility toward people of a different bloodline. This is one reason why there are so many thousands of orphaned children from other countries who need parents. (Not only are the child's birth parents unable to care for their child, no one else among their relatives is able to help.) It is obvious that adoption by non-relatives isn't a universally accepted custom as a way to solve the problem of children without parents. 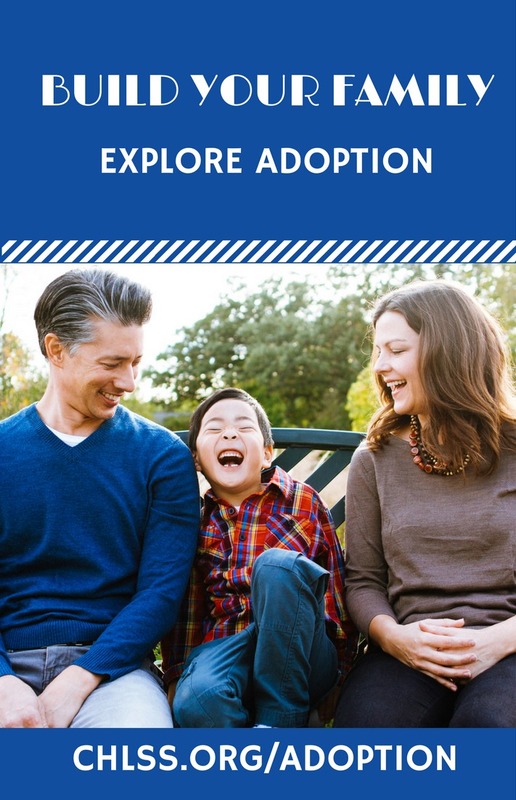 Certainly having the adoptive family continue to be active in an adoption support organization is the primary way to show their children (both birth and adopted) that adoption is a very positive way to form a family. 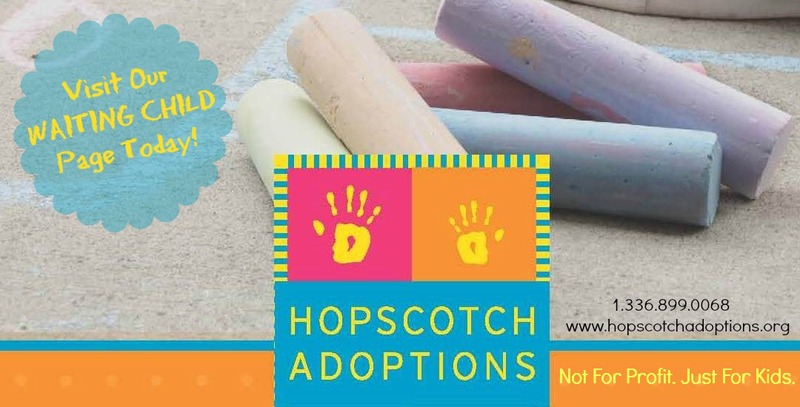 The adopted child hears parents talk with approval when other kids are adopted, and at support group family activities they discover that lots of other "neat" kids also are adopted. The non-adopted siblings exchange ideas with others like themselves, and often acquire ideas about how to handle incidents when other children or adults ask about an adopted brother or sister. One parent told me that she found her young children "playing adoption". One was the social worker and the other (dressed in mom's old dress and high heels) a mother consulting with the "worker" about adopting a child. They used the state adoption exchange book (which happened to be kept in that house) to look for a child to adopt! In dating, our birth son had a girlfriend at one point who wanted to tell him a secret: I should tell you I'm adopted. Will you still call me?" He laughingly explained that he had a couple of very nice adopted sisters. She was so relieved! There is a Korean Church in our community that has been very welcoming to Caucasian families who have adopted Korean children, and has had special services for them a few times a year. Some adoptive families have given the altar flowers at a service at Thanksgiving time. On one occasion I ran up the church steps since I was a little late, and saw a large crowd of these parents standing uncertainly in the vestibule. One mother said she was so glad to see me. "The Korean people are very welcoming, but it feels strange to be in a church with so many who look very different. We waited for you." Later I told them that they had had for one hour, the experience of their child living in a predominantly Caucasian America ­ being a minority person. This would help them understand what their children face every day. Tips in good grooming are important for all teens, but more so for those who are non-Caucasian. TV and magazines are slow to show minority race people. Look to your adoptive parent group, to some specialized magazines, and to culture and ethnic family groups. Caucasian parents need to be especially tactful in asking these groups for help, and be very willing to help with group events. One blonde mother of two Korean children at a local Saturday morning Korean School became president of the school's PTA! Adopting a child of another race and culture not only is an additional challenge to the family, but has its positive point of opening up the world to all the family members. American citizens can often be very insular in their outlook and assume all the rest of the world is exactly like us, or should be! Maybe TV news is changing us somewhat, but it is an educational and interesting experience to learn about those of other backgrounds with whom we share this planet. All in the adoptive family benefit when parents share their own backgrounds and information about the heritage of their adopted child. Once they adopt, they are obligated to look for opportunities to do this, to have books and objects in their home, and to support the interests of their children. Just remember that a majority of teens don't like their looks, and assume all problems would be solved if they only looked better (different color hair and eyes, straighter or curlier hair, thinner or more developed body, or had the skill to be on the varsity team, etc.). There's a country-western song about a card player that "has to know when to hold 'em and know when to fold 'em", and anyone in the U.S. who looks "different" needs to be aware that, unfortunately, they are going to meet situations where the other person doesn't like them because of the way they look. They need parents who can help them distinguish when they need to stand up for their rights and when to ignore a situation where the other person is a racial bigot. Helping to build a child's self-esteem over the years is extremely important for all parents of all children. You need to emphasize that it is the other person who has the problem with accepting someone of a different race, either judging your child in a stereotypical way or assuming their own appearance is the only "normal" one. When your child is young, the adoptive parent needs to be the watchful person and not let a racial incident be ignored. Your child needs to see you as not accepting destructive discrimination against them because of race or ethnic background. 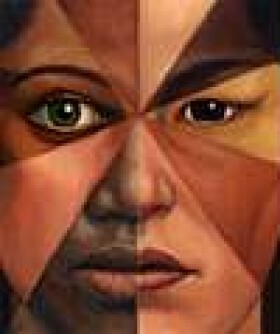 Parents need to set the stage for their children when they are young and encourage them to be in multi-racial groups. Keep open communication when they get older, and when a racial incident happens, encourage them to act in a calm way, but insist on their right to be treated with respect. Be a visitor to your child's school and get to know their teachers each year. In elementary school offer to present a program on your child's cultural heritage. Be aware of course choices in junior high and high school to be sure your child's abilities are recognized by the teacher and they aren't judged only by skin color or eye shape. For post high school education, encourage your young adult to attend an educational program where there are students and faculty of a variety of races. Look for a place where a wide variety of resources are available, even semesters abroad or in other parts of the U.S.
A friend who raised several children through the hectic teenage years once said to me, "What you have to do with teens is never argue, if you can help it, but as an adult, you out-think them!" One of our adopted daughters as a teenager said thoughtfully one afternoon, "You know, Mom, the kids at school say I do so many goody-goody things. I'm in Scouts, in the church fellowship, on the field hockey team, and volunteer at the museum." I replied that she seemed to like these activities. She said, "Oh, yes, I do, and I'm not going to give them up. The kids wonder how I ever got this way." I kept a straight face, bit my tongue, and then said I supposed it was because she was following her interests. She agreed. Parents of teens will have sore tongues as their youngsters sprout wings and begin to be independent. You swallow hard and let them fly!